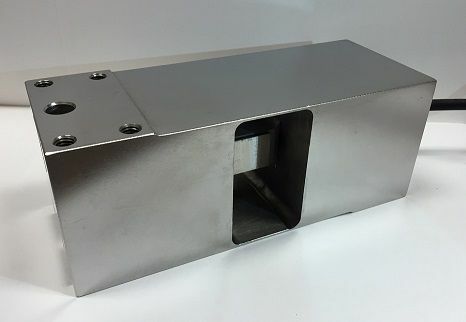 Stainless steel single point load cell. Available capacities 50kg-1000kg. Commonly referred to as a brick load cell.